The topics covered in this program can be shared with Seniors on a one to one basis outside of a group setting. However it is recommended that this group be conducted once a week and specific topics to be covered be determined by the needs of the group members. Use the PowerPoints and Handouts in one on one Psychoeducation with individuals. 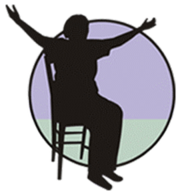 As in-service educational programming for Seniors' Caregivers. What are Telomeres? Telomeres are the protective caps found at the ends of your chromosomes that protect our genetic information during cellular division. For our bodies to heal and function properly, cells must divide to produce new cells to replace old, worn-out cells. Telomeres allow our cells to divide without damaging or scrambling the cells’ genetic information. A great analogy for telomeres is the plastic tips on shoelaces as they keep chromosome ends from tangling and fraying. Telomeres tend to shorten and fray with age. Our diet has an impact on the length of our telomeres. Physical activity is associated with longer telomeres and better health outcomes. Healthy sleep has an influence longer telomeres. Stress impacts the length of our telomeres. 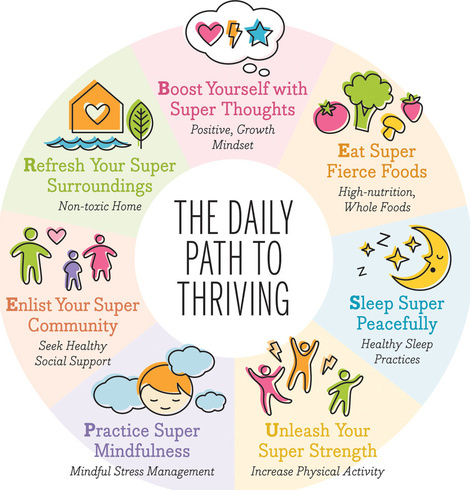 Recovery Strategies to Strengthen Health An overview of Journal Writing, Behavioral Chains and Thought Stopping as three ways to turn Seniors' lives around to live a healthier life and improve their habits and lifestyle. Tips on Pain Managment An overview of the typical treatments for managing pain, the sources of this pain and a look at non-medication alternatives to help create a healthier outcome for Seniors. All About Smoking Cessation An overview of rationale for quitting smoking and tips for successful smoking cessation. Impact of Secondhand Smoke A look at the negative impact that smoking around others especially children can do harm to them. Physical Effects of Smoking A look at the health and appearance issues which come from not quitting smoking. It is a hopeful motivator to assist patients to decide to quit. What You Need To Know About Asthma An overview of the symptoms of asthma, triggers for asthma and how to manage it. 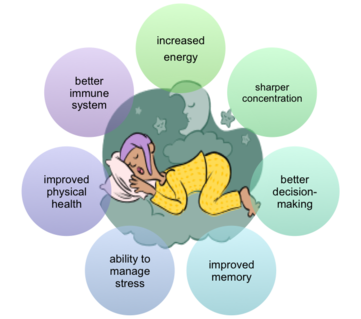 Dealing with Sleep Problems A review of the five stages of sleep, Insomnia, Sleep Apnea, Shift Work and other Sleep problems and Steps for Good Sleep Hygiene. Diabetes: Facing It Head On! An overview of the risks for and causes of diabetes and ways to prevent and/or manage them. Alcohol Use – Good or Bad for You? A review of fact about Alcohol Use, Abuse and Dependence and how an individual can assess if there is a problem with Alcohol and what to do about it if there is a problem. Making Peace with Food Helping Seniors to let go of their guilt and anger over their previous issues with food so as to help them get on track in their efforts to change their lifestyle patterns. Handling Unhealthy Cravings & Urges That Undermine Health Management Tips on how to cope with cravings, triggers and urgers to revert back to old unhealthy habits which can impact the longterm health of Seniors. 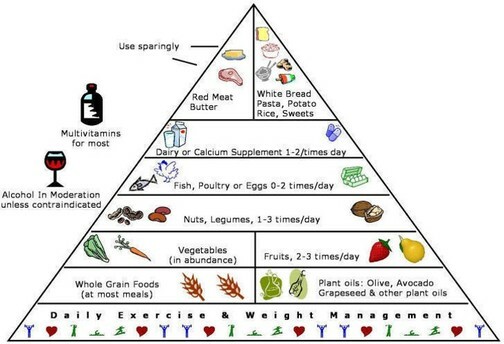 How about eating a Healthy Diet? Eat a variety of foods to get the nutrients you need & at the same time the right amount of calories to maintain healthy weight. How about eating a Healthy Diet along with Exercise? 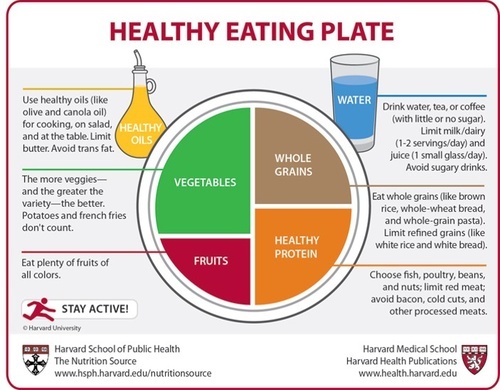 Quick Guide for Healthy Eating! Benefit of Exercise over the Lifespan A rationale for including a program of physical activity and exercise in Seniors' long term plan for a Healthy Lifestyle. Tips on Walking Looking at walking as an inexpensive and reasonable exercise for Seniors to begin with in their efforts to imporve their health and change their lifestyle. All about Stretching Instruction for Seniors on stretching so as not to hurt their muscles and body as they begin to initiate the use of exercise in their every day life. First: It is important that you ask for a release of information so that you can read their medical records and understand better what are the sources of stress and if such stress is based on some existing medical condition if and if there is a medical condition what has been attempted previously to help them to relieve their stress due to their medical condition. Second: If the seniors have been to other professionals to address their stress-related issues then you need releases of information so that you can get reports on their treatment and progress of these clients in working with them. Third: Before developing a plan for seniors you must be sure to do a complete Initial Clinical Assessment (http://coping.us/cliniciantreatmenttools/clinicalassessmentplan.html) which includes exploration of ACE Factors (http://coping.us/cliniciantreatmenttools/acefactors.html) and history of any other major medical, social or interpersonal traumatic events which might account for the severity and duration of their stress. Fourth: It is important once the initial assessment is completed that you then utilize Motivational Interviewing Strategies (http://coping.us/motivationalinterviewing.html) to determine if the seniors are actually ready to do the work necessary to deal with their stress as a reality of life, to work seriously at following through with the steps being outlined for them to pursue to lessen the impact of stress in their lives. Fifth: Design the MBSR Program for Seniors on a modified basis, utilizIng only 15, 20 or 30 minute meditations outlines in the program and do all meditation with seniors sitting. Use chair yoga as well and limit it again to 20 or 30 minute videos. What is Stress An overview of the physiological process involved in the human body's response to stress. Tips for Relaxation of Stress Response A look at Progressive Relaxation Training and Full Breathing Exercise to help reduce the impact of stress in our Seniors' lives. This is a Jon-Kabat Zinn style Mindfulness Meditation. As you listen you learn to value the transient nature of life and realize that you can tolerate anything for the moment. It's great for those who may have tried silent meditation and found it difficult. Traditionally, mindfulness meditation is done with your eyes closed. However, the video offers you the ability to refocus your thoughts should you feel the need to open your eyes. This is a guided meditation to take you on a journey of relaxation. You will clear the clutter of your mind to calm you. 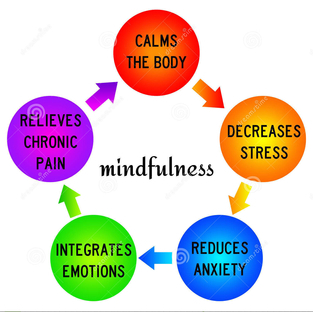 It will reduce your stress level, as well as improve your overall health and well being when practiced regularly. This is a mindfulness meditation with Josh Wise. This meditation will help you connect with your breath. Relax. Let go of stress. Release anxiety. Allow yourself to relax. Simply breathe and watch your breath. Notice what it feels like. No need to change anything or do anything. Simply accept this moment just as it is. Enjoy. This guided meditation and relaxation is a great way to start the day. It can also be used before an event you are nervous about or after a stressful event to help calm down. Share with anyone you feel will find value in this meditation. Do not use this as a replacement for seeking medical advice if necessary. Do not listen while driving. Breathe the stress, tension, and anxiety away. Find yourself...your mind, body, and spirit return to a state of balance, peace, and wellness.This deep breathing meditation for stress reduction guides you through simple breathing techniques to reduce chronic stress, tension, and anxiety. After listening to this session, find yourself...your mind, body, and spirit return to a state of balance, peace, and wellness. Restricting time in bed helps consolidate and deepen sleep. Spending excessive time in bed can lead to fragmented and shallow sleep. A regular wake up time in the morning will help set your “biological clock” and leads to regular sleep onset. A comfortable bed and bedroom environment will reduce the likelihood that you will wake up during the night. Excessively warm or cold rooms can disrupt sleep as well. A quiet environment is more sleep promoting than a noisy one. Noises can be masked with background white noise (such as the noise of a fan) or with earplugs. Bedrooms may be darkened with black-out shades or sleep masks can be worn. Position clocks out-of-sight since clock-watching can increase anxiety about lack of sleep. Although some smokers claim that smoking helps them relax, nicotine is a stimulant. Thus, smoking, dipping, or chewing tobacco should be avoided near bedtime and during the night. A small amount of alcohol often promotes the onset of sleep, but as alcohol is metabolized sleep becomes disturbed and fragmented. Thus, alcohol is a poor sleep aid. Scientists have shown that sleep medications lose their effectiveness in about 2 – 4 weeks when taken regularly. Despite advertisements to the contrary, over-the-counter sleeping aids have little impact on sleep beyond the placebo effect. Over time, sleeping pills actually can make sleep problems worse. When sleeping pills have been used for a long period, withdrawal from the medication can lead to an insomnia rebound. Thus, many individuals incorrectly conclude that they “need” sleeping pills in order to sleep normally. Regular exercise in the late afternoon or early evening seems to aid sleep, although the positive effect often takes several weeks to become noticeable. 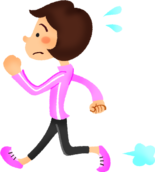 Exercising sporadically is not likely to improve sleep and exercise within 2 hours of bedtime may elevate nervous system activity and interfere with sleep onset. Spending 20 minutes in a tub of hot water an hour or two prior to bedtime may also promote sleep. Many individuals with insomnia “pay” for daytime naps with more sleeplessness at night. Thus, it is best to avoid daytime napping. If you do nap, be sure to schedule naps before 3:00pm. A light bedtime snack, such a glass of warm milk, cheese, or a bowl of cereal can promote sleep. You should avoid the following foods at bedtime: any caffeinated foods (e.g., chocolate), peanuts, beans, most raw fruits and vegetables (since they may cause gas), and high-fat foods such as potato or corn chips. Avoid snacks in the middle of the nights since awakening may become associated with hunger. Reducing liquid intake will decrease the need for nighttime trips to the bathroom. Do not try to fall asleep If you are unable to fall sleep within a reasonable time (15-20 minutes) or when you notice that you are beginning to worry about falling asleep, get out of bed. Leave the bedroom and engage in a quiet activity such as reading. Return to bed only when you are sleepy. Plan time earlier in the evening to review the day, plan the next day or deal with any problems. Worrying in bed can interfere with sleep onset and cause you to have a shallow sleep. 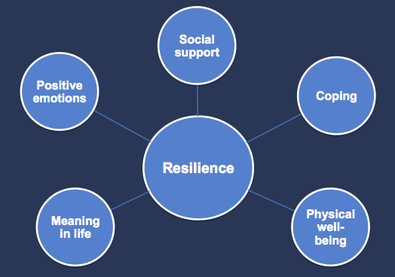 Resilience-Bouncing Back in a Healthy Way An overview of what is Resilience and why it is so important when facing challenges to your health and in your life. A personal inventory is included in this program. 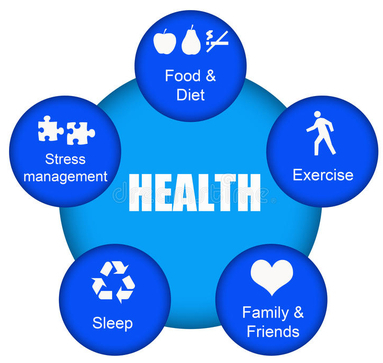 Steps of Problem Solving in Health Management Easy steps to follow to problem solving. Thic model can be applied by Seniors in problem solving on how they can change old unhealthy habits to healthier ones. Sustaining a Healthy Outlook An overview of redirecting Seniors thoughts to a more postive direction as they initiate an effort to implement a healthy way of living in their lives. Overcoming Perfectionism in Changing Your Lifestyle Helping Seniors to let go of the need to control and be so prefectionistic which is self-defeating when trying to implement a way of living which they have never experienced before. Overcoming Helplessness A look at the pattern of helplessness which undermines the work of Seniors to take control of their health and to be compliant with medical directives. Dealing with Depression An overview of Depression including a self-assessment, understanding how depression is experienced, what irrational thoughts contribute to depression, the neurolobiology of depression and why medications do work and changes in lifestyle which can help prevent or lessen the impact of depression. Self-Affirmations To Strengthen Health Management A look at Self-Affirmations of all types which Seniors can use as they begin the process of putting in efforts to improve their handling of their health related Thoughts, Emotions and Actions. "If we could turn back the clock psychologically, could we also turn it back physically? For more than thirty years, award winning social psychologist Ellen Langer has studied this provocatative question, and now has a conclusive answer: Opening our minds to what's possible, instead of clinging to accepted notions about what's not, can lead to better health at any age." Quote from Ellen Langerr's Counterclockwise webpage at:http://www.ellenlanger.com/books/1/counterclockwise It is worth the read get this book to help build your own and your family members resilience. Introduction to Your Support Team Tips for Seniors in the support groups established by Behavioral Health Consultants in Seniors' Settings. Open Admission to Your Support Team Advice to Seniors in support groups conducted by Behavioral Health Consultants to take the risk and be open about themselves, their trials and failures as well as their successes in their attempts to create a healthy lifestyle for themselves. Your Support Team as a Healing Environment Ways for the support group participants to evaluate how supportive their group is. Strengthening Your Support Team Steps that Seniors can take to strengthen the support they get from participating in the support group lead by the Behavioral Health Consultant.